Wade Rain, established in 1936, is a leading manufacturer and supplier of all types of irrigation products to agriculture. With over 77 years of experience in manufacturing, selling and designing irrigation systems we provide the right solution for your irrigation needs. The reason we sell a variety of types of irrigation equipment is that each type of system works the best under different circumstances. Whether your crop needs drip irrigation for row crops, Poweroll for potatoes or center pivots for corn Wade Rain has the best equipment for the job. All Wade Rain irrigation equipment is of the highest quality with unique features that make it the “best for the job.” The right design is the key to a system that delivers the water at the right pressure to the sprinklers or drippers. We have vast experience in the sale of large irrigation projects all over the world. We were the major supplier of hand move sprinkler systems to the 25,000 hectacre Majes project in Peru; Poweroll to the 5,000 hectare Vaquerias project in Mexico; Pivots in the Middle East and large irrigation systems in Africa. Wade can provide project financing through the US Export-Import Bank. 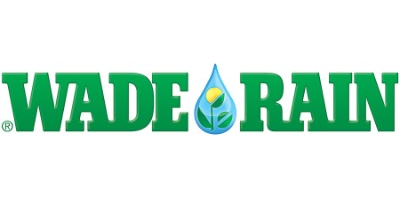 Wade Rain also is sold through its subsidiary Wade Rain of Mexico. With 12 branches strategically located throughout Mexico it provides irrigation systems to a network of over 400 Wade Rain Dealers. Also we have established Wade Rain del Peru for distribution of irrigation products there. In 1987 Wade Rain established the Ore-Max division for sale of its products to the mining industry.